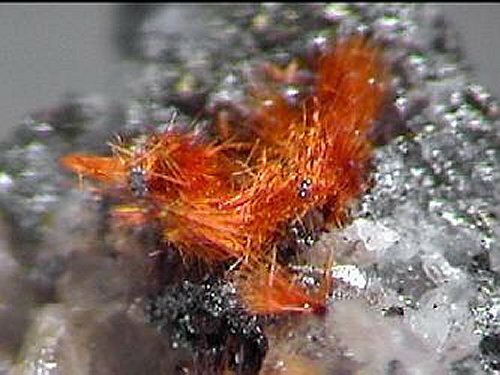 Comments: Acicular crystals of red-orange ludlockite on quartz and chalcocite. Location: Tsumeb Mine, Tsumeb, Namibia. Scale: Crystal size 0.4 cm.